Now Health International, the Hong Kong-based international private medical insurance provider co-founded six years ago by IPMI veteran Martin Garcia, has unveiled a “chatbot” facility it has added to its existing suite of digital client-facing tools. The Now Health chatbot was developed in conjunction with the ChatFuel platform, and may now be accessed via Now Health International’s Facebook Messenger function, the company said in a statement on Wednesday. ChatFuel is a Silicon Valley based chatbot start-up launched in 2015, with the goal of bringing chatbot technology to a wider market, in such places as Facebook. And in its statement announcing its new ChatFuel facility, Now Health said it had in fact been introduced in order “to provide a simple and fast channel for customers to get advice on some of the most frequently-asked questions”, in line with its commitment to provide simple and easily accessible health insurance. “Members and potential customers can use the chatbot to seek advice on how to get a quote, submit a claim, and search for a medical provider within the Now Health International network,” it added. The Now Health chatbot also makes use of artificial intelligence technology to respond to key words and phrases typed by the user. “For example, if the user types key words such as ‘doctor’ or ‘medical’ within the chat, they are automatically directed to the Find a Medical Provider function,” Now Health explains. 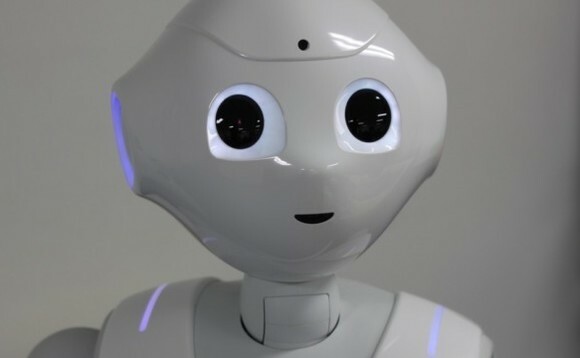 The statement went on to say that new capabilities for the facility are planned in order to “improve the overall Chatbot ‘conversation’, such as the use of neuro-linguistic programming (NLP) techniques”. Other tools in Now Health International’s existing digital toolbox include a secure online portfolio and smartphone app, both of which have been upgraded within the past year. The secure online portfolio enables members to view and download plan documents, see a summary of how much of their benefits have been used to date, and submit and track all claims online, while the smartphone App enables members to find the nearest doctor or specialist from within Now Health International’s provider network, as well as make and book appointments, and submit claims. The Now Health International Group consists of Now Health International and Best Doctors Insurance, and claims to be one of the fastest growing IPMI providers in the expatriate-focused, HNWI and corporate markets. In addition to Hong Kong, it has offices in the UK, United Arab Emirates, China, Hong Kong, Singapore and Indonesia, while its Bermuda- and Miami-based Best Doctors Insurance operation, acquired last year, distributes its insurance products throughout Central and Latin America, the Caribbean and Canada. In total this adds up to a dozen sales and/or service offices, staffed by more than 350 employees, who look after more than 112,000 clients across four continents. As International Investment reported last year, Martin Garcia co-founded Now Health in order to cater to expatriates and high-net-worth clients in Hong Kong, mainland China, Indonesia, Europe, the Middle East and other countries in which the private health care industry is growing rapidly, providing major opportunities for the private health insurance industry to establish itself and grow alongside it. As the July/August 2017 issue of International Investment reports, in an article entitled “The doctor will Skype you now”, technology is revolutionising the way international private medical insurance is being provided to expat clients, particularly in out-of-the-way outposts.